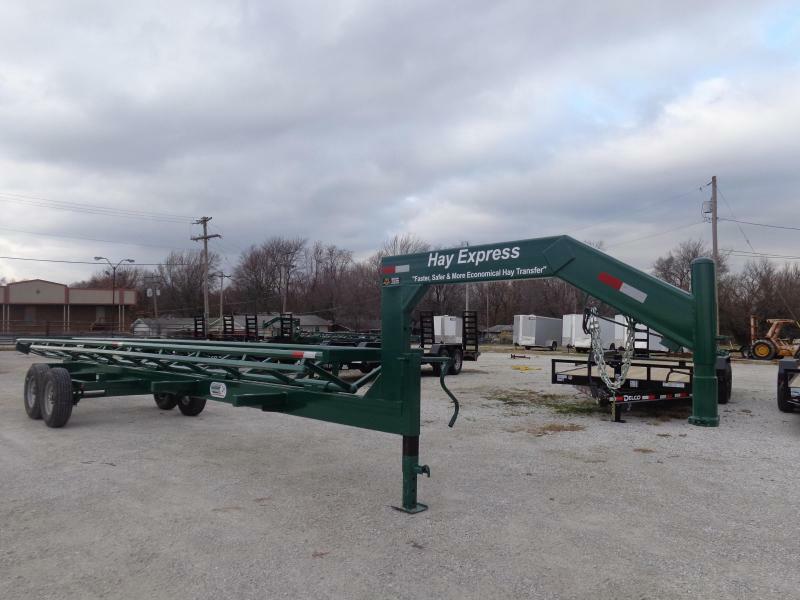 32' Hay Express Gooseneck Trailer | McCurry Trailers in Springfield MO is your local Springfield MO Trailer dealer for flatbed utility trailers, enclosed cargo trailers, stock trailers, and trailer service. 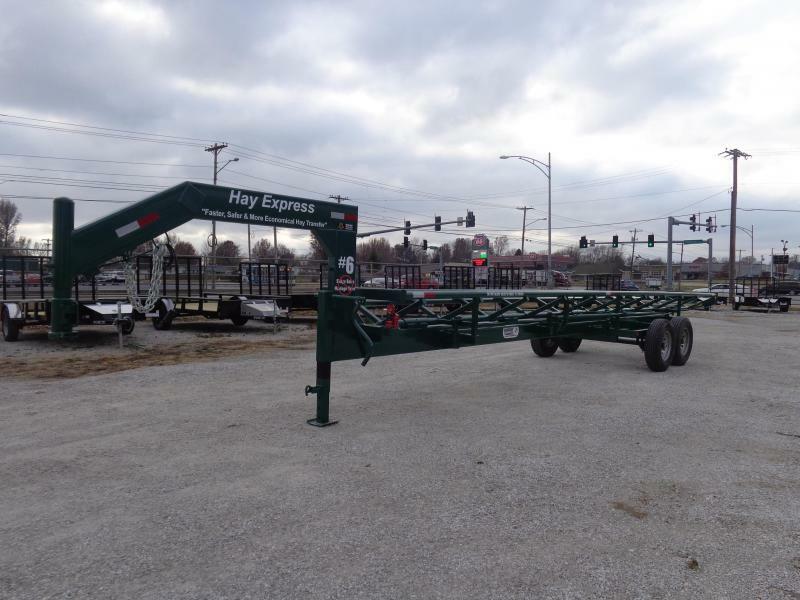 Unloading Inline Hay Trailer on the market today. 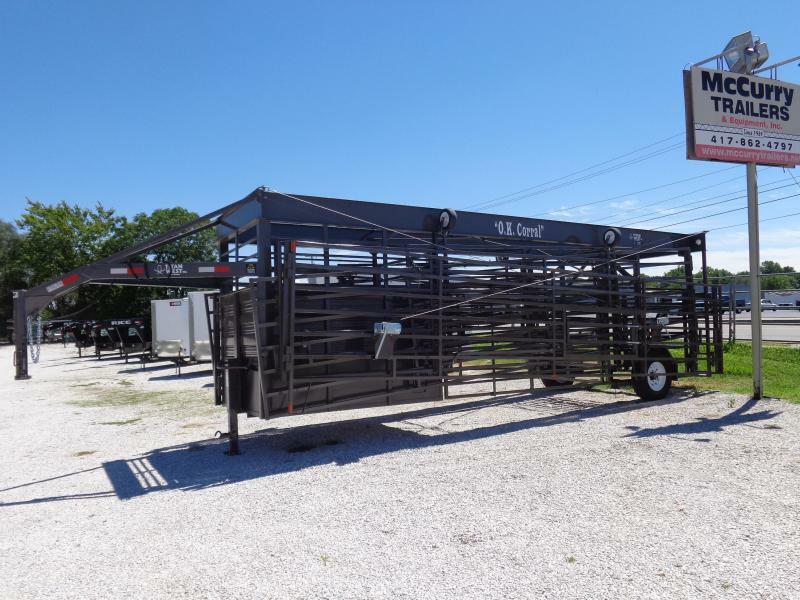 The cradle is the only part of the hay trailer that dumps. The neck stays straight/upright! 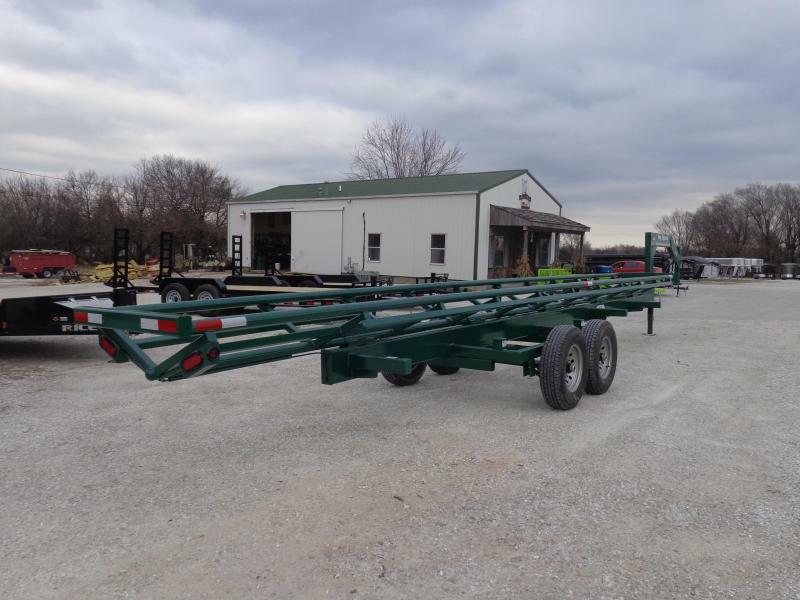 32' Gooseneck CRADLE DUMP Bale Trailer, 2-6,000# Axles, 1 Electric Brake, Main Frame 10" x 4" x 1/4" Rectangle, Rails are 2 7/8" x .220 Pipe, Braces are 2" x 2" x 3/16" Square, New 16" Radials & 8 Hole Wheels, Rated at 3550# Each, LED Lights, All Wiring Enclosed in Main Frame, Jacketed Wire Eliminates Wearing. NOTE: MUCH SAFER TO USE! 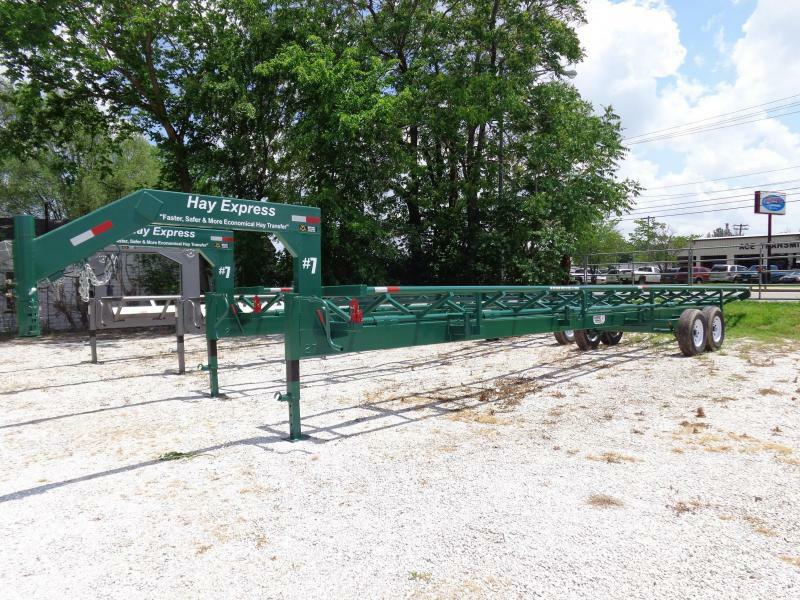 THE BAR DOESN'T GO UP WHEN THE HAY IS RELEASED & HANDLE WON'T HIT YOU IN THE CHIN!